Brighter LED Van Lights Installed in Seconds! 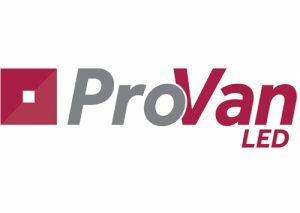 Make your working day easier during the dark winter mornings, afternoons and evenings by upgrading your van lighting to ProVan. Find your tools and equipment quickly and easily with ProVan LED direct replacement van lights. ProVan is the quick and easy way to upgrade the lighting in the back of your van. Up to 7 x brighter, ProVan is a range of easy fit LED lights that directly replaces the original factory fitted lights. For easy installation, the ProVan light plugs straight into the existing space using an easy-fit plug/play connector which takes less than 30 seconds to fit, eliminating any additional costs such as cabling, switches and labour. The high performance ProVan range fits all major makes/models including Ford, VW, Renault, Peugeot, Fiat, Nissan, Citroen, Mercedes and Vauxhall. ProVan is made in the UK and also comes with a 10 Year Guarantee.